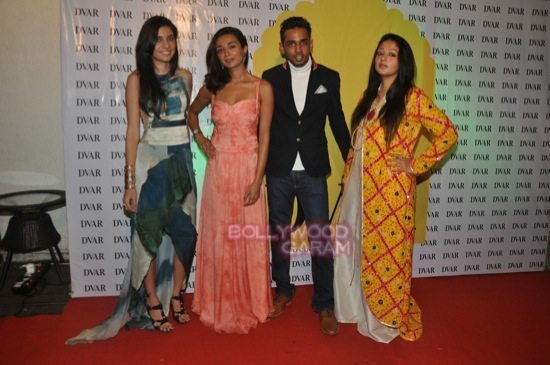 Actresses Shazahn Padamsee and Ira Dubey attend Soniya VEMB preview. Bollywood and theater actresses Shazahn Padamsee and Ira Dubey attended the Soniya VEMB preview held in Mumbai on October 9, 2014. Shazahn looked great in a purple gown while Ira too looked pretty in an peachy orange gown. Shazahn was last seen in the movie ‘Housefull 2’ in which she played the role of Parul Patel. The actress shot to fame when she played June Pinto in the movie ‘Dil Toh Baccha Hai Ji’ opposite Ajay Devgn. She made her debut in Bollywood with the movie ‘Rocket Singh: Salesman of the Year’ opposite Ranbir Kapoor. Apart from Hindi movies, the actress has also worked in Telugu movies.